One element of the exhibit that should pique the interests of us genealogists is a very detailed description of lichen. I know: “composite organism that arises from algae or cyanobacteria (or both) living among filaments of a fungus in a symbiotic relationship” sounds like a riveting topic. However, once I read a little more about the properties of lichen, I was excited by the possibilities that lichen could hold for genealogy. Mainly, that lichen can be used to date exposed rock like a tombstone, for example. Common Greenshield grows at a constant rate of 1 mm/year. 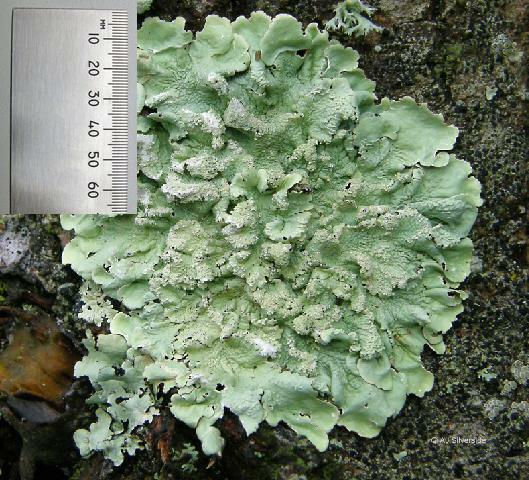 According to the Museum of Science, there are five common types of lichen in North America. One of them, flavoparmelia caperata (also known as Common Greenshield), is most widely recognizable as it grows in the Midwest and the entire eastern part of the United States. More importantly, especially for genealogists, Common Greenshield grows at a constant rate of 1 mm/year. Now, we’ve all witnessed lichen (various species) ravaging tombstones in cemeteries in the northeast/east/Midwest. And in most cases, we try to clean up these tombstones, so that others may easily read the inscriptions. However, IF a tombstone was never cleaned, AND the inscription does not have a date, a genealogist could potentially estimate the date of the stone by measuring the size and species of the lichen. This could be especially helpful for memorial stones, ones placed years after an individual was buried. If the lichen shows that the stone was younger than the date indicates, maybe the stone was a memorial stone and not a tombstone erected at the time of death. So, next time you are exploring a cemetery, try to find one of the larger lichen and match it with the date on the stone. How closely do the two dates match? How fascinating! We’ve all seen lichen on tombstones, and, typically, cursed it. You’ve given us a reason not to, but to use it. A few years ago, my brother was at a convention in a small town where our grandparents and many other family members were buried. He found some time to visit the cemetery, and called me, all excited, to tell me of many others besides the few I’d sent him the plot numbers for. I had them, just hadn’t wanted to overwhelm him. But he found even more. One, unfortunately, had lichen covering part of the surname, while the dates were clear enough. “Darling Debbie” had dates indicating she died very young, in the 1930s. But which branch of the family did she belong to? The lichen kept that a secret. 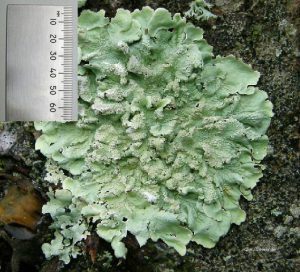 Since the cemetery was in Eastern Washington state, the lichen wasn’t the one you found. Had we known its importance, we might have learned what kind of lichen it was, and how fast it grows. That might have helped us place Debbie in the correct branch of the family. Until reading your post, I’d have had no idea the kind of lichen would even be important. Can you recommend a brief place to look up such information? Loved this one. I recently did a presentation on historic preservation of old cemeteries and how to clean tombstones. I’m going to incorporate this into my next talk, just food for thought about “do you really want to clean that stone until you get ALL the information”. My Grandmother Myrtle, b1879 in Delmar, Tioga, PA, took my hand when I was a little girl to climb the hill behind her home into the woods We lived in the Town of Union, Endicott, NY. This was an expedition to show me edible food in the forrest, incase I was ever lost. It was lichen that she pointed out to me as safe to eat.Mushrooms she said were not safe to eat, because I would be unable to tell the good ones from the poisonous ones. Fortunately, for me, I was never lost in the woods!